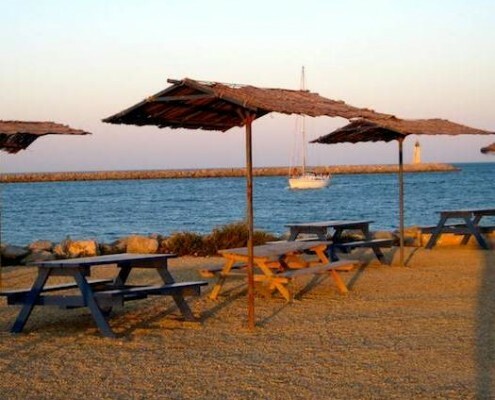 Relaxing break or on the go : You’ll find here our selection of unavoidable restaurants and bars in Gruissan ! 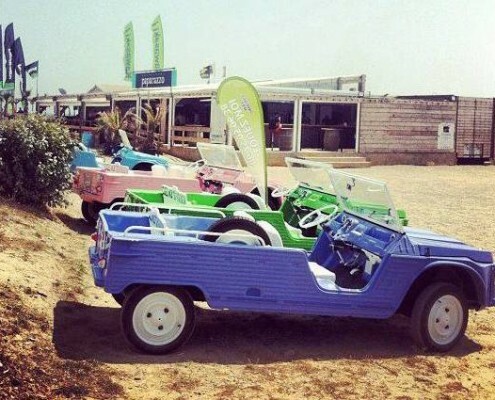 Le Paparazzo Bar-Restaurant : The beach-restaurant atmosphere ! Located next to the nautical center, in front of the sea, Le Paparazzo welcomes you in a beach-restaurant atmosphere : apéritif, lunch, dinner and nights being given rhythm by a DJ ! The bar offers tapas and refreshments, awesome after a slide session ! As for the kitchen, it offers a menu of fresh products, sea products for the greater part: Grilled sardines “à l’escabèche”, mussels and french fries, Scallops brochettes and vegetables cooked in a wok, home made french fries, local wine… With its cosy atmosphere and its children’s playground, this place is meant both for families and party lovers ! In the heart of the salt marsh, around 4 kilometers away from the base, you will have the chance to taste the Saint Martin’s island’s oysters. Depending on the sea products brought back by the fishers, you’ll also taste wonderful local meals : fishes and meats baked in natural salt cristals, cassoulet of cuttlefishes but also the Padènes (mixed fried shellfishes)served with local wine. Its beautiful area makes of La Cambuse du Saunier one of the unavoidable places in Gruissan ! Booking is recommended. Le Poisson d’Avril is about 10 minutes away from the nautical center. This nice restaurant opens his door on a mediterranean decoration. Three major meals but also dishes à la carte : scampi, sea perch, cuttlefishes, lamb chops, duck breasts… All meals are home-made and cooked with seasonal food. 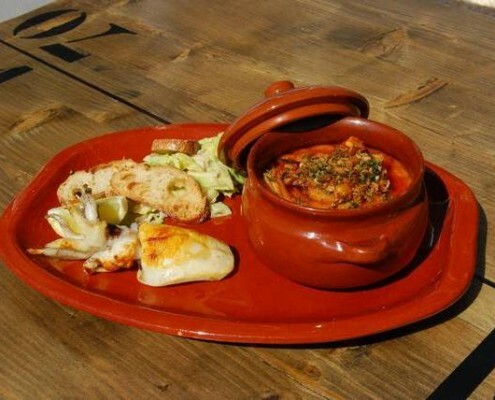 A generous cooking, wonderfully introduced and served with a shrewd selection of local wines. The air-conditioned room of Le Poisson d’Avril is the perfect place to spend a great family time ! All year open, booking is recommended. This former presbytery, magnificently restored, is 5 minutes away driving from the nautical base. 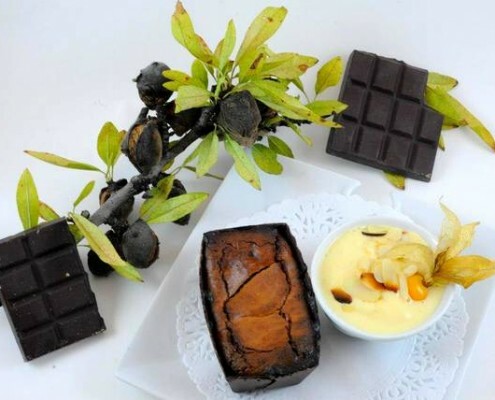 Mixing elegantly local and trendy cooking, the meal is a constant surprise : iron-cooked shellfishes covered with bacon, browned oysters with parmesan and truffe oil but also grilled tuna with pan-seared foie gras, all served in generous portions, with occitan wine. Whether on the shady terrace, on the first floor next to the open kitchen or upstairs in one of the two beautiful rooms, the restaurant promises you a wonderful gastronomic moment. During the high season, booking is necessary ! Two kilometers away fom the spot, this restaurant opened a year ago and already has a very good reputation both for locals and others. The mediterranean cooking offered is authentic, full of sunshine, perfumed with aromatic plants from La Clape and colored with small edible flowers found in the garrigue. Meals are 100% home made. Between earth and sea, daily fishes, local producer’s meat and seasonal vegetables. All of it melts into a festival of flavors : cream of lentil with foie gras and tapenade, catalan lamb shoulder with thyme and its cappuccino of white beans, and for the dessert, a home made mille feuille served with a vanilla catalan cream and its morello cherries mash. The restaurant Aux Deux Oliviers will make you discover a story of passion where each of your visits turns into an unforgettable greedy experience ! This warm place, two steps away from the base, Le Cers offers a fantastic view on the spot of the Vieille Nouvelle and also many friendliness moments to relax and share a common love for riding ! 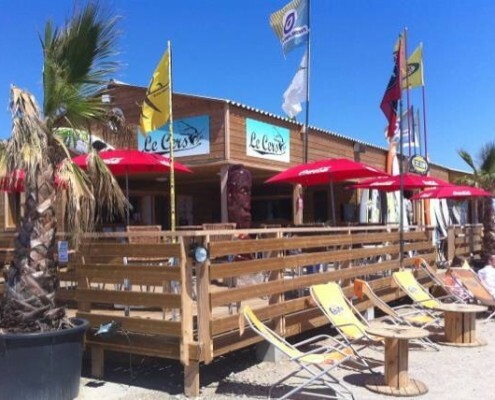 At the extremity of the Chalets’ beach, 5 minutes away from the nautical center, La Perle Gruissanaise is unavoidable in Gruissan. In a magic place where the pond meets the sea, the sunsets are breathtaking. Add to this mussels, oysters, prawns but also whelks to taste anytime and you’ll find there a wonderful place to get along with friends around a glass of white wine ! 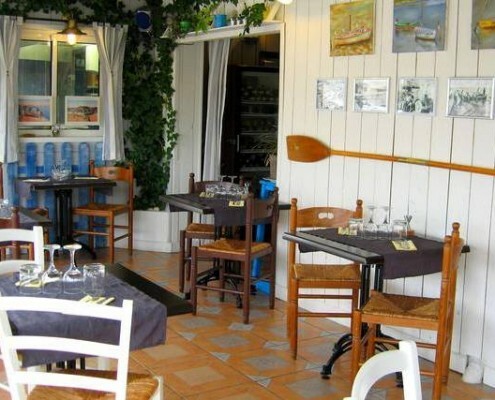 Now that you know where to eat in Gruissan, check our activities pages to plan your days ! You can also find a complete list of all the restaurants and bars of Gruissan on its tourist office website ! 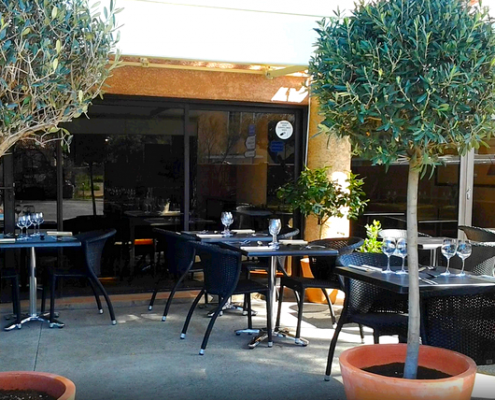 Now you know where to eat in Gruissan, check our activities pages to plan your days !